Perfect if you adore gold Art Deco earrings with added luxe, this is your go-to pair for special occasions. 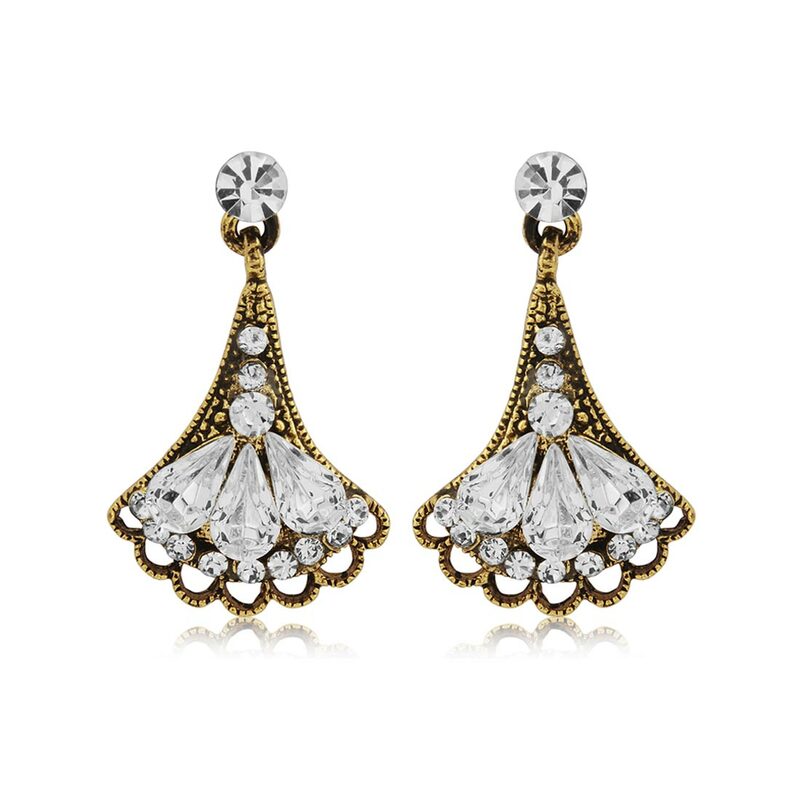 Encompassing the elegance and sophistication of the Roaring Twenties, our Glamour of Gold Earrings will be adored by admirers of vintage jewellery. Featuring a fabulous crystal fan design set on antique gold, these stunning drops are a beautiful length providing chic style for every occasion. The perfect earrings to compliment a Marcel Wave or glisten from behind a neat bob, Glamour of Gold will look divine worn alone or teamed with our coordinating pendant. For maximum ‘20s style combine with a vintage gold hair clip or forehead hair band and you will be ready to party into the night. Exquisite bridal earrings for brides who adore jewellery from bygone eras, Glamour of Gold will sparkle and shine when teamed with a cream drop waisted gown and feather enhanced bouquet to accessorise a stunning Art Deco inspired wedding.